(Lindenwold, NJ) – Camden County is diligently monitoring the developments of a clipper system which may deliver up to 1.5 inches of snow to our region on Saturday morning. Preparations are underway to respond to the inclement conditions and keep traffic moving throughout the region. Flurries are expected to begin sometime between 6 a.m. and 9 a.m. on Saturday, and a light snow could then fall intermittently until between 1 p.m. and 4 p.m. Although the snow is expected to be light, temperatures will return to the teens in the evening and will bring about a heightened threat of a freeze-up of wet surfaces and slush. A lingering shower could return between 8 p.m. and 9 p.m. delivering up to an additional half-inch of snow. At the public works complex in Lindenwold, more than 100 pieces of equipment stand ready to keep county roadways passable and motorists moving. If the weather becomes treacherous personnel will be dispatched to 12 winter maintenance districts to salt and plow 1,400 lane miles of roadways across Camden County. The county’s response plan calls for crews to be dispatched only to the zones where they are needed. 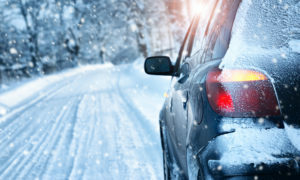 Continue to check www.camdencounty.com through the storm for weather and road condition updates. Information will also be provided through Facebook and Twitter.